sometimes there's an attitude that i think we, believers, can easily slip into - "how much can WE do for God?!" "look at ALL we're doing for God!" "God is blessing us because we are DOING, DOING, DOING THINGS!"... an attitude that places more focus on our works than His. it's certainly not bad to do good things, but from beginning to end, the Bible is chock full of accounts where He does crazy things to help His people not because of anything they really did, but because He loved them and they [maybe] mustered a little faith that He would do what He said he could do. He still does those crazy things for us, today... but sometimes i think we shy away from asking for those things... because we think we can do it on our own, because we've got our own marketing plan in place, we have our savings account, our connections, our branding, our work ethic.... we might be too busy hustling and worrying to stand still and trust. no, the elephant prayer list was threefold - a list for you/your family, a list for your friends/community, and a list for all the impossible things - elephants that just seemed much too big and maybe even too random for God. too big for reality, too much for God. big, impossible prayers? i instantly loved it. i was in need of that kind of perspective - one that places all hope and faith in the One who makes possible the impossible. Then He arose and rebuked the wind, and said to the sea, 'Peace, be still!' And the wind ceased and there was a great calm." so, of course after hearing about the elephant prayer list, i wrote out prayers for my family, prayers for my friend community, and prayers that i hadn't really spent much time sharing with God because they just seemed too big - because they didn't involve me working towards them, because my 'boat' was already filling with water and it would be impossible to rescue myself. He would have to do the impossible - provide for indie's delivery out of nowhere. prayers like these can be daunting. sometimes i think we're afraid to ask for something impossible because we're afraid to be let down or afraid that we're asking out of selfishness, or we're afraid that God doesn't like when we ask for things. i think the enemy uses fear and everything else to keep us from asking our Father for things [who by the way, loooooves to give], because when we ask, we are being obedient. and the satraps, prefects, governors, and royal advisers crowded around them. they saw that the fire had not harmed their bodies, nor was a hair of their heads singed; their robes were not scorched and there was no smell of fire on them." 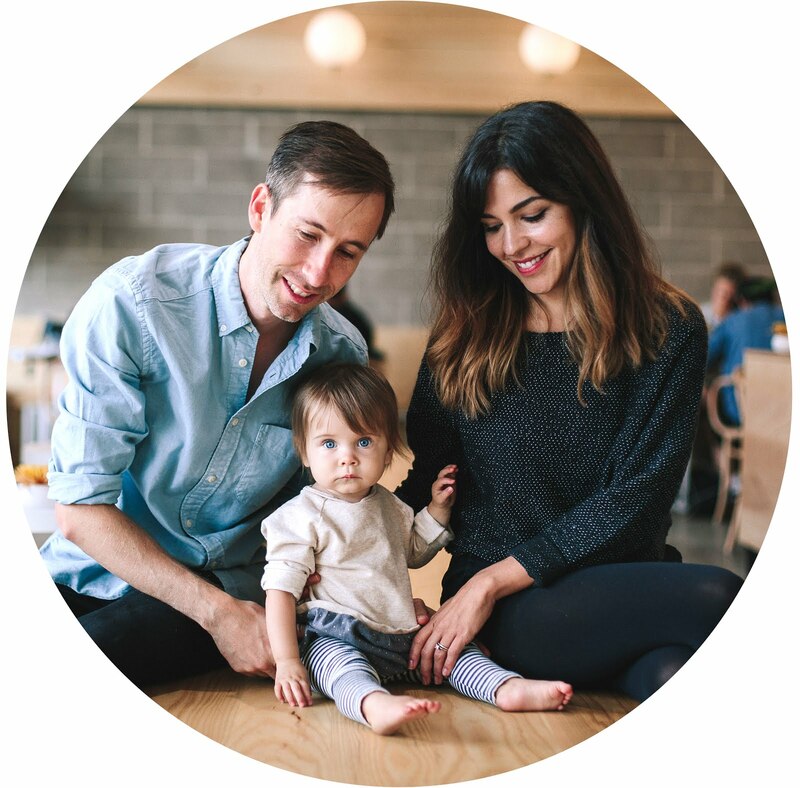 just weeks before indie was due, we somehow wound up in the hospital billing office, where they told us we were eligible for financial aid.... that we would only have to pay $240 for the entire delivery and hospital stay. [cue sobbing emoji] i couldn't believe it... i had asked God for His supernatural provision, He heard our elephant prayer and answered. the storm ceased because HE silenced it... making the impossible a reality. He provided for her birth with no logical explanation. all we did was ask. 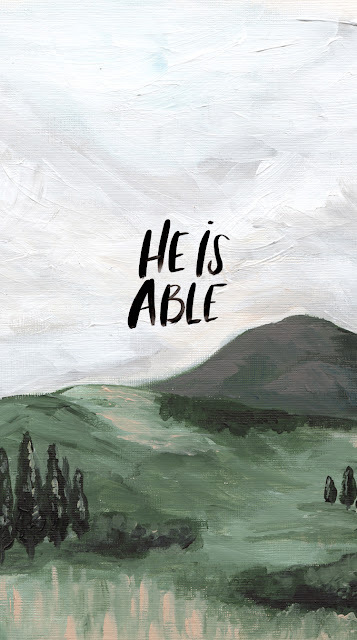 because only He is able. He is able to hear and handle every prayer we offer. He may not audibly say "yes" to everything or grant our every request, but we can be sure that He is capable of anything, and He works so willingly to give us good things in every situation. "Ask, and it will be given to you; seek, and you will find; knock, and it will be opened to you. For everyone who asks receives, and he who seeks finds, and to him who knocks it will be opened. Or what man among you who, if his son asks for bread, will give him a stone? Or if he asks for a fish, will he give him a serpent? if you then, being evil, know how to give good gifts to your children, how much more will your Father who is in heaven give good things to those who ask Him!" He is able.... there's so much possibility and power and glorious peace in those words. we have nothing to lose by asking, only elephants to gain. so much love to you guys! and a wallpaper for your phone... hope it encourages you in whatever you ask, whatever you face today! xo!